It's been pretty cold at night here in Sunny LA. In lieu of turning on the heat, I've been cuddling with my favorite throw and it's inspired me to check out other throws out there. 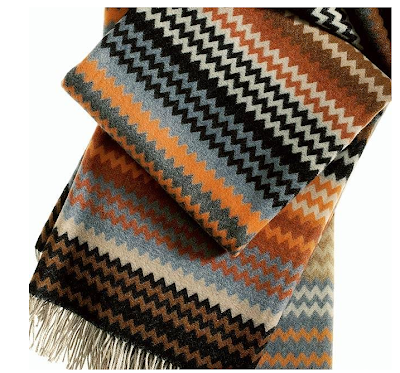 My fave "want" right now - the Humbert throw by Missoni. Simply colorful and comfortable. Loving this small space accent. 1 Response to "SMALL SPACE ACCENTS: Humbert Throw by Missoni"
that throw has been on my wish list FOREVER! i just love it!